Rock tumblers are a necessity when trying to turn unpolished rocks into refined gemstones. Entry level rock tumblers, such as the Science Tech Rock Tumbler by Elenco, help initiate your child into the world of gemstone refinement at an early age, or they can be simply used as a geological educational tool. However, if the instructions are missing or have been misplaced, trying to intuitively navigate the process of turning out fine gemstones is daunting. Instructions also quickly become a necessity. Fill the barrel with 8 to 16 ounces of rocks. Add coarse grinding powder and fill the barrel with only enough water to cover the rocks. Securely tighten the barrel cap. Insert the barrel into the tumbler. It locks only one way; match the appropriate ends of the barrel into the tumbler base. Attach the power cord to the rock tumbler. Plug it into the wall socket. Push the timer buttons for the length of tumble for the stones. Initial-phase tumbling time depends on individual rock characteristics. Press the 1 Day/2 Day/4 Day timer buttons for one, two or four days’ worth of tumbling. Press both the 1 Day and the 2 Day timer to set the tumbler for three days of tumbling. Press both the 1 Day and the 4 Day timer buttons to set the tumbler for five days. Press the 1 Day, 2 Day and 4 Day timer buttons to set the tumbler for seven days. Inspect the rocks daily until all the sharp points and edges become smooth. Rinse the rocks and barrel completely. Place the rocks back into the barrel. Add fine grinding powder into the barrel and fill the barrel with only enough water to cover the rocks. Attach the barrel to the tumbler base and reset the timer buttons for an additional three to seven days, depending on the rocks’ characteristics. 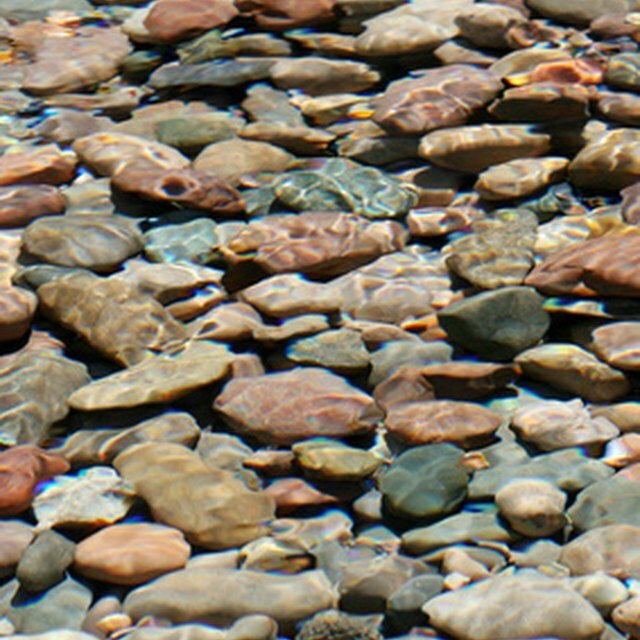 Inspect the rocks frequently and stop tumbling when the rocks become shiny stones. Empty the stones into a fine strainer and wash the stones with soap to remove all grit. Rinse the barrel with water. Place the stones back in the barrel and fill the barrel with only enough water to cover the stones. Attach the barrel and set the timer button for one day, but tumble the stones for only two hours to ensure that all grit has been removed. Remove the stones and rinse. Rinse the barrel again. Add stones, polishing powder, and only enough water to cover the stones into the barrel. Attach the barrel and tumble the stones for three days or more. Wash the stones and the barrel with soap and rinse until all grit is removed. Place the stones in the barrel and fill it with water until the stones are covered. Attach the barrel and tumble the stones for two hours. Rinse the stones and the barrel. Add stones, final polishing powder, and only enough water to cover stones into the barrel. Attach the barrel and tumble for four days or longer. 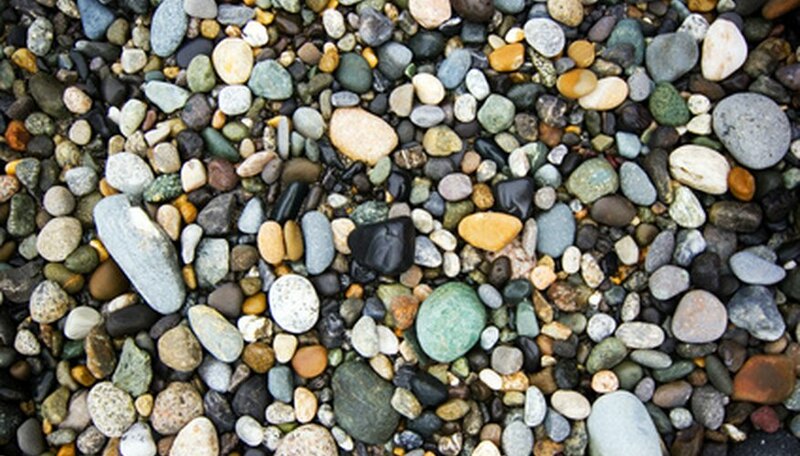 Inspect the stones frequently and stop the tumbling process when the stones look shiny when they are dry. Remove excess grit with a scrub brush or old toothbrush. Dry off the tumbler barrel before inserting the barrel into the base. Tumble only the same type of rocks in order to get the most polished appearance. When in doubt, tumble for longer periods of time. This will not harm the stones. Do not allow the rock grit to go down your household drain. Use a fine mesh strainer when washing stones. Do not immerse the barrel in water. Do not place more than 16 ounces of rocks into the barrel at a time. Fill the barrel with only enough water to cover the rocks. Do not stop during the entire process of tumbling rocks; the barrel contents will harden like cement. Korin Dayton started writing professionally in 2011. She has written on health, nutrition, fitness, fashion, traveling and emergency first-aid procedures for various websites. Dayton possesses a Bachelor of Arts in international relations from the University of Southern California and a Master of Arts in international relations with an emphasis on counseling skills from Oklahoma University. Dayton, Korin. "Science Tech Rock Tumbler Instructions." Sciencing, https://sciencing.com/science-tech-rock-tumbler-instructions-7815236.html. 25 April 2017.